The Mega Man Legacy rolls on as Mega Man X Legacy Collection 1 & 2 go live today, bringing all eight games from the X franchise to current platforms. They’re available on PLaystation 4, Xbox One, Nintendo Switch and Windows PC. Collection #1 offers Mega Man X 1-4, and Collection #2 adds Mega Man X5-8. 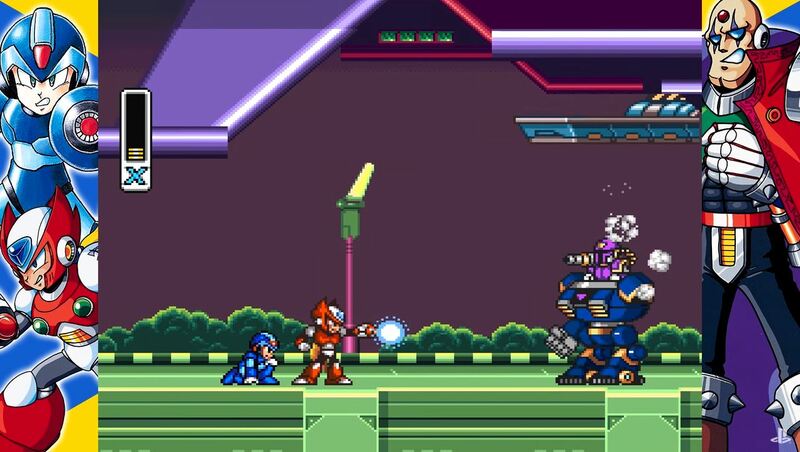 The battle against the Mavericks comes to modern consoles and introduced a lot of brand new mechanics and upgrades to the Mega Man franchise. These collections also contain modern enhancements and exclusive features for both new and old fans alike. Museum of the era – Step back in time and explore the rich history of the Mega Man Xseries! The museum contains a huge collection of archived art, collectible merchandise, historical trailers and in-game music from each title. Also included is The Day of Σ, an animated short film exploring the beginnings of Sigma’s rebellion.